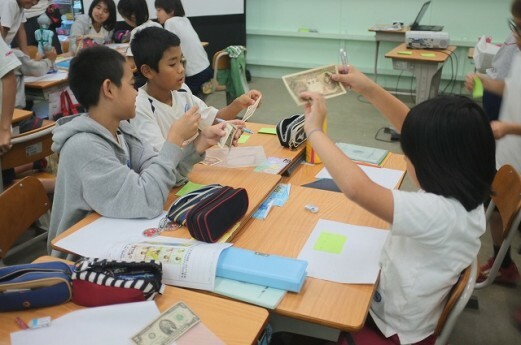 Grade five had a special lesson for reversion of Okinawa on May 15th.Okinawa was returned to Japan 43 years ago. 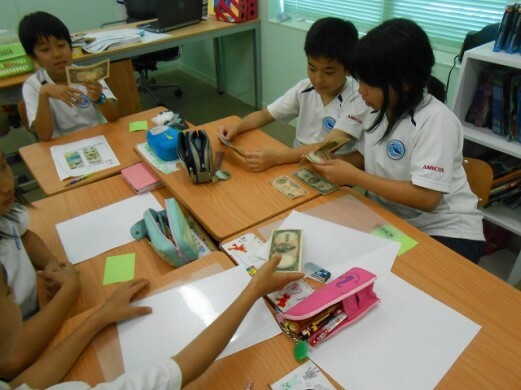 Students saw real old money, board game, toys, passport and stamp.They said passport was thin, board game rule was different and money was big. They used 4 frame manga from Okinawa Times and Ryukyu Shimpo, local newspaper.They were thinking what these Authors point. Now, they know what we had before. They enjoyed today’s lesson.